More information to follow – however in the interim – this is great news for cycling, the area, and the club. The course takes in a loop around Llyn Brenig and can be found here (http://doarama.com/view/1066325). 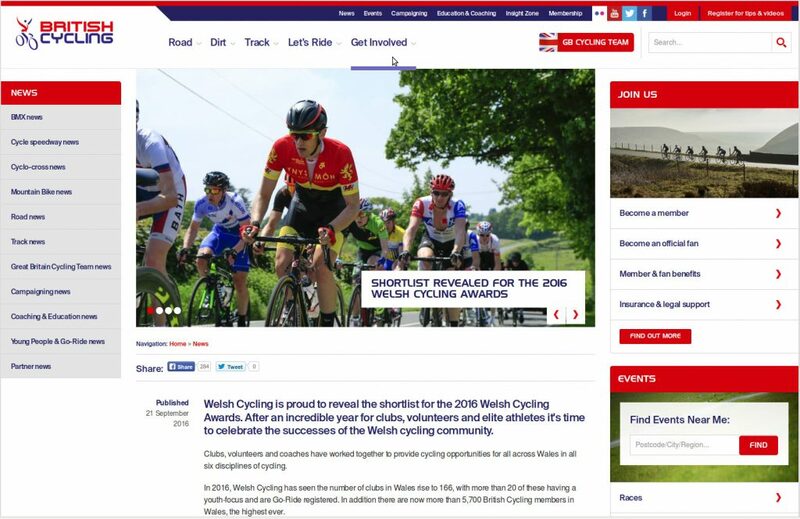 This year we are very happy to find VC Melyd shortlisted for the Welsh Cycling awards 2016. Previous years have seen volunteer of the year, coach of the year, fastest growing club of the year and so on. This year we have been put forward for two – Volunteer of the year (for Simon’s work with the NWRR), and VC Melyd Club of the Year. Now that is pretty impressive stuff I think you will agree. Not all clubs are created equally – and this is a fantastic reflection on the hard work and time put in by so many to support, and most importantly “be” the riders that form a club. Well done everyone. The awards will take place later in the year. This weekend saw the final round of the NWRR series. Taking in 6 laps of the D1/9 TT course, to finish on the Denbigh Industrial Park. The results of the north Wales road race – for round five, and the overall series can be found below. Many thanks to everyone who helped out and took part in this series, and made it possible. Congratulations to Team Chronomaster, Ynys Mon Racing Team, and Buxton CC / Sett Valley Cycles on the club / team awards, and to Dylan Kerfoot-Robson (Team USN), Joseph Bowers (BuxtonCC/Sett Valley Cycles), and Jimmy Smith (Team Aspire) for the first second and third respectively. The Overall Results for the North Wales Road Race Series (NWRR) can be found here. Another great review from the people at Team Chronomaster too. “NWRR Series has come to an end for 2016 after a successful final round. Its been a busy year hosting our first Road Race Series for VC Melyd. Huge thanks again to the great team of volunteers and helpers. Thanks to CSAS marshals, Welsh Cycling, NEG, BC commissaires, st johns ambulance and Ynys Mon Race Team for providing the neutral service. Special thanks to Chris Allen who has helped with the signs before and after all the races. He has also done a top job as chief judge at the finish line of every round. Special thanks also to Mark Allen who has helped with all the organisation. Massive appreciation to the regular team of volunteers from VC Melyd. 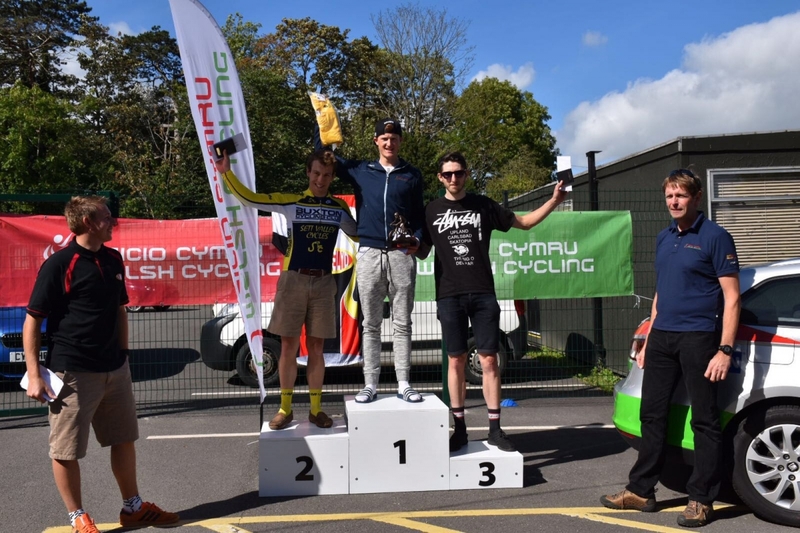 “VC Melyd cycling club has put road racing back on the map for cyclists in North Wales in spectacular fashion by hosting the North Wales Road Race Series (NWRRS). NWRRS came to an end on Sunday 11th September 2016, which seen more than 140 amateur cyclists tackle five gruelling race circuits across Ruthin, Denbigh, Marsh Tracks Rhyl, Lyn Brenig and Trawsfynydd. The challenging series was planned to include some of the toughest roads in North Wales to suit both sprinters and climbers. Riders were not only battling against demanding roads but the British weather also played a part making for exciting racing. Cyclists travelled from all over Wales and the North West of England to compete in the series, including local clubs Marsh Tracks Race Team, Ynys Mon Race Team, Rhos-on-Sea Cycling Club. Team Chronomaster from the North West were the winning Team of the series following consistent results from their riders. Going into the final race of the series it was all to be won as the results were tight at the top of the league table. Therefore Round 5 this weekend at Denbigh saw constant attacks from the riders all trying to get away and take the win. A small group broke away from the peloton on lap 5 of 6 and the race was won by Stephen Feeney of Team Chronomaster. Congratulations to local rider Dylan Kerfoot-Robson of Team USN who won the group sprint scoring enough points to take the 2016 Overall North Wales Road Race Series Win by 2 points. Welsh Cycling have opened the Member Perception Survey for 2016. They are looking to identify what riders experience while cycling in Wales and their perception of how Welsh Cycling is involved with this. They want to improve their understanding of the cycling community in Wales, and look at how they can support clubs, members and volunteers. All those that complete the survey by Wednesday 1 September will be entered in to a draw to win a pair of VIP tickets to the Tour of Britain. Please complete by Wednesday 1st September for a chance to win a pair of VIP hospitality tickets to the Tour of Britain. Help us to grow our sport together. Congratulations to everyone involved in the running and organisation behind Velo Club Melyd Go-Ride. At this years Welsh Cycling awards – we were very happy to receive the Runner Up certificate for their efforts. Well done VC Melyd, those involved, parents, coaches, Marsh Tracks Rhyl – we have much to be proud of. Huge congratulations to Chris Allen of Velo Club Melyd, and his short-listing for 2015 Welsh Cycling Volunteer of the Year. Chris was presented with the runner up award this weekend at the ceremony – a fantastic achievement – and a worthy recipient. A hearty thank you from all at VC Melyd. It is that time of year again – nominations for the Welsh Cycling Awards. In previous years we have been nominated for a number of awards, and come away with fastest growing club, and coach of the year. It is your turn to put forwards the names of people who have made a real difference to you. Take five minutes and follow the link on the Welsh Cycling Awards page and name names – push forwards the people you think are worthy of recognition. “Volunteers, officials and coaches who go the extra mile to make a difference to our sport here in Wales will once again be recognised for their commitment and contribution to the sport of cycling alongside Wales’ elite cyclists at the 2015 Welsh Cycling Awards. There will be 13 awards on offer, including Lifetime Contribution to Cycling to recognise individuals who have made a significant impact on cycling in Wales. New for 2015 will be the Go Ride Club of the Year, recognising the growth in provision for young people to get into cycling in Wales’ accredited Go Ride Clubs. Cycling clubs and members are invited to nominate their cycling champions who will be awarded at the dinner on Saturday 7 November at Mercure Cardiff Holland House Hotel and Spa, Cardiff. 2014 saw Tudor Thomas of Bynea Cycling Club, recognised for his years of dedication to cycling through his role as commissaire and as a volunteer in Wales with the Lifetime Contribution to Cycling accolade. World Champion Manon Carpenter received Elite Cyclist of the Year for her continued success throughout the season winning the World Cup series and World Championship title whilst Abergavenny Road Club claimed the Club of the Year title for the second time. “The 2015 Welsh Cycling Awards is a fantastic opportunity to recognise people from all corners of the cycling community in Wales who dedicate their time to developing our sport and providing opportunities for everyone to enjoy cycling in Wales. Do you want to recommend someone for an award? Sure – no issue – you can do the process offline – or you can use Welsh Cycling’s online nomination form. Welsh Cycling confirms Assistant Commissaire Training Courses for autumn 2015 in Wales and border regions. Assistant Commissaire courses are being offered in the disciplines of BMX, Cyclo Cross, Track and Road with information on date sand locations available here. The entrance point to becoming a Commissaire is on the Assistant Commissaire course. This British Cycling course blends pre course online learning with the face to face delivery of a one day course. The pre course learning covers areas such as anti-doping, safeguarding and protecting children as well as conflict management. This enables the day to focus on the roles and responsibilities of a Commissaire, pre, during and post event. Once candidates have completed the course they will be fully fledged Assistant Commissaires. In order to then progress up the pathway as seen below, practical experience is gained shadowing active volunteers. For more information head over to British Cycling – with information on location and dates of courses here. Sessions running every Wednesday in August. Novice and intermediate groups in both disciplines. Go-Ride Wednesdays through August – junior coaching and skills sessions. See the flier for more information or contact Eirwen Ann Williams for more information. Sessions start Wednesday 5th August 2015. Marsh Tracks. See you there. However this is not all! Check out the rest of the calendar – Glan y Gors, Nant Bwlch yr Haearn, Coed y Brenin, Dolgellau … there is plenty to be doing on two wheels this summer holiday in North Wales. Many thanks to everyone involved in delivering this programme.